Disasters and outages can have a profound effect on both revenue and reputation. 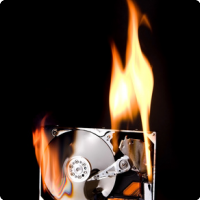 A solid disaster recovery plan for data must go beyond simple in-house backup – and include secure offsite storage and the ability to recover quickly from small or catastrophic losses and outages according to recovery times that mitigate financial impact. More aggressive plans attempt to avoid interruption altogether with solutions that enable immediate failover of critical applications. This contingency approach for information is commonly referred to as business continuity. Iron Briefcase addresses both strategies with advanced solutions tailored to the small to medium enterprise. The Importance of Disaster Recovery Planning When considering a disaster recovery or business continuity plan, it is important to remember what is at stake: Lost Revenue •	Direct Loss •	Lost Future Revenue •	Billing Losses •	Investment Losses Lost Productivity •	Duration of Downtime •	Number of People Affected •	Lost Productivity •	Employee Wages Bruised Reputation •	Customers •	Suppliers •	Business Partners •	Public Other Reasons •	Outside Consultants •	Equipment Rental •	Overtime Costs •	Travel Expenses The Richmond House Group’s research indicates that 20% of SMBs suffer a major disaster every 5 years, and the US Bureau of Labor reports that 93% of companies that suffer a significant data loss are out of business within 5 years. Largely to blame for these numbers is the fact that there have been few viable solutions for small to medium enterprises to engage that are affordable, sustainable, and easily testable. Iron Briefcase changes the game. Our emphasis on availability and recovery is written in our mission statement - it's our main focus and passion to service the small to mid-tier with the best solutions and infrastructure available. DR Starts with Online Data Backup The first two critical steps to a data recovery plan is to ensure disciplined backup and offsite storage. With Iron Briefcase 's IronVault Backup service, both of these steps are combined and automated, giving you a fighting chance should a disaster occur. Recovery for small losses is done with a few mouse clicks, over the wire. Larger volumes are recovered from a Mobile Vault - a portable disk device that carries a protected copy of your backup to your recovery site. Optional Local Vault Iron Briefcase gives you the flexibility of using local storage as a backup target in concert with securing data offsite. If you have designated space, this approach is ideal for fast ad hoc file restores as well as bare metal recoveries. You maintain full control yet also benefit from a copy being stored safely out of region. Virtual Recovery (standby virtual machines) Iron Briefcase has perfected a way to marry your backup data with standby virtual servers that can be accessed remotely following an outage. Server virtualization enables us to offer recovery servers that can be activated with your production server image. The result is a near exact, running replica of your production servers ready to be accessed from users remotely. Data Replication & High Availability For applications that won't tolerate downtime, Iron Briefcase offers real-time replication to keep you running. From our datacenter, Iron Briefcase is uniquely positioned to either host your critical applications in a highly available infrastructure or let us be the target host of your replication solution, maintaining a virtual replica while you manage the production master.